Identification status: 100% to species; the variety is problematic. McDougall used the older name of Chrysopsis villosa. In order to properly determine the variety, it appears that one must have a voucher in hand, along with specimens of each of the nine varieties. 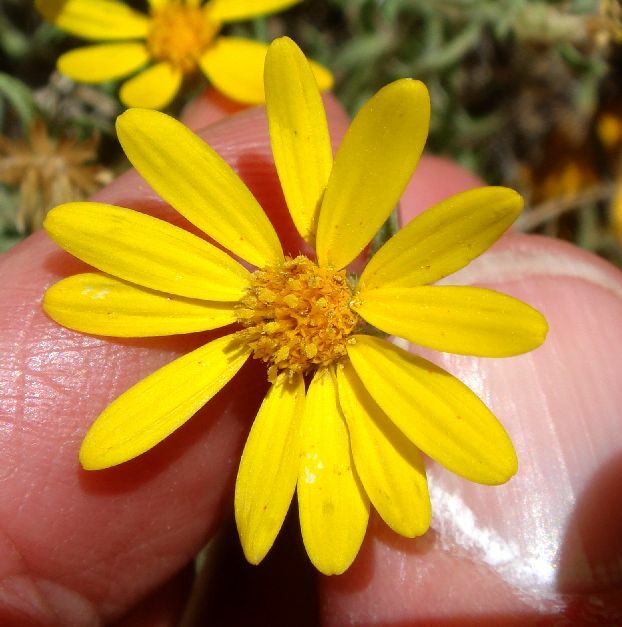 The Flora of North America treatment states that this species is quite variable, so a suite of traits must be used to determine the varieties. 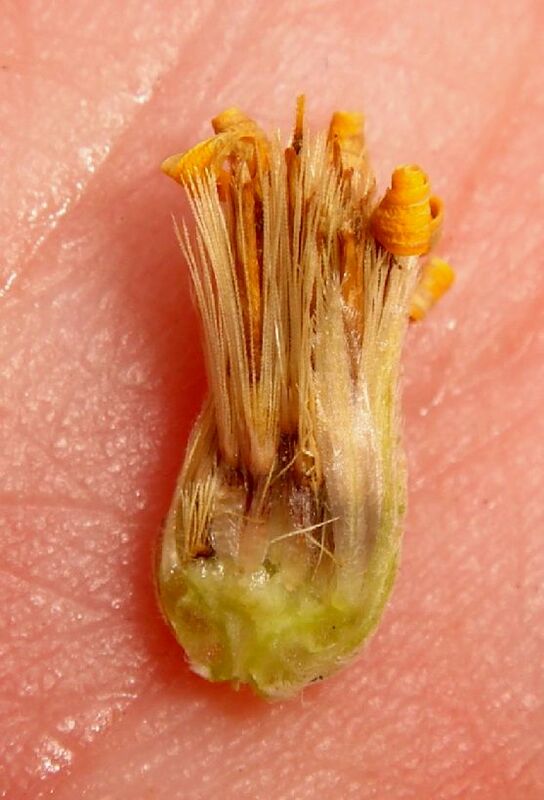 There is considerable overlap in many of the characteristics used in the Flora of North America key, and numeric measurements of the density of hairs and of glands are usually required. Worse, the varieties said to be in Arizona according to the Flora of North America bear little resemblance to the varieties in the 1987 Grand Canyon Flora! That flora gave the most common variety as var. villosa, but the Flora of North America says that variety is now found only in Colorado and Kansas northward. 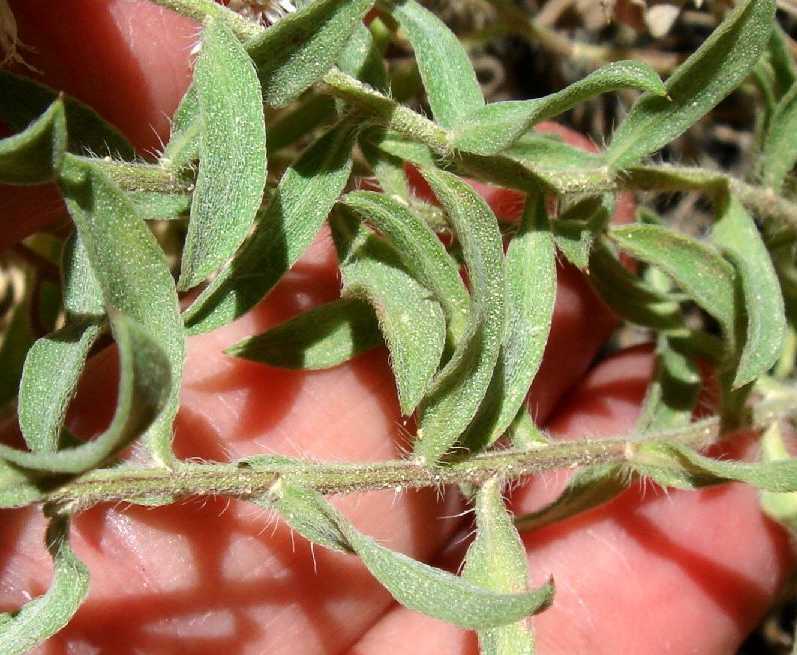 Variety foliosa is also vouchered from the Grand Canyon; the Flora of North America says that variety is now found only nearby, in UT, NM, and CO northward. Variety hispida is now called variety minor. Most vouchers from this area are not determined to variety; I am happy to follow that tradition. The Flora of North America notes that two papers, H. A. Gleason and A. Cronquist (1991) and Cronquist (1994), have subsumed all nine varieties into just two varieties, which is back to essentially what it was in the time of Kearney and Peebles. 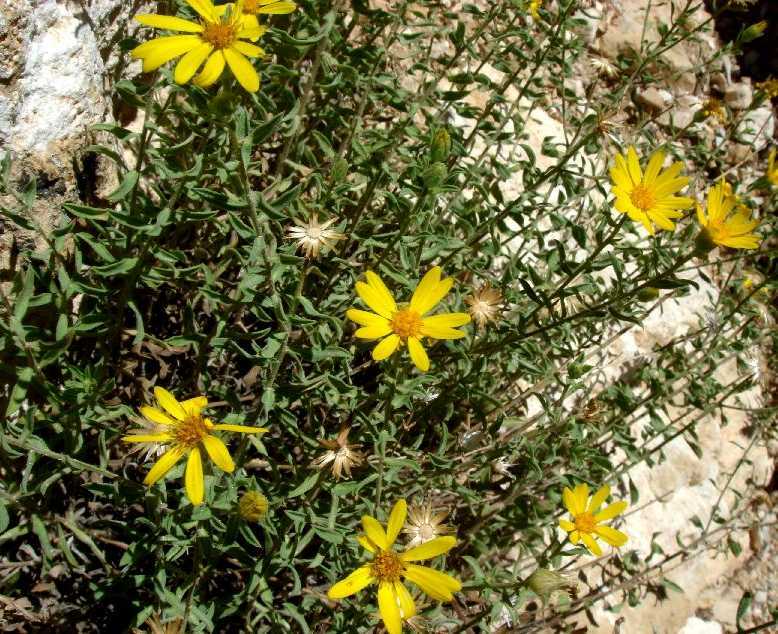 Judging from how botanists have voted with their determinations in Arizona, two varieties, or zero varieties, is probably better than four varieties, since it does no good to have many varieties if it is nearly impossible to figure them out. 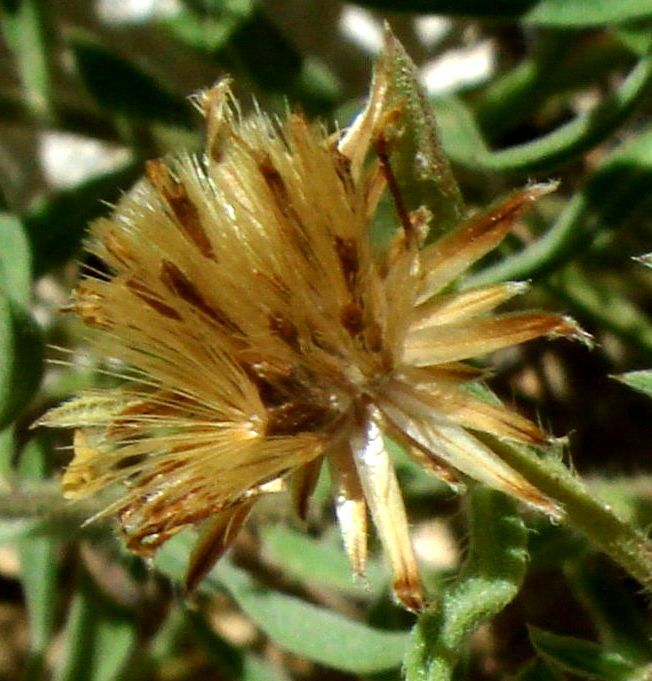 This is a widespread species in the Grand Canyon, ranging from 1750 to 8600 feet in elevation. It is common on the South Kaibab Trail, but we have not yet seen it on the Bright Angel Trail. 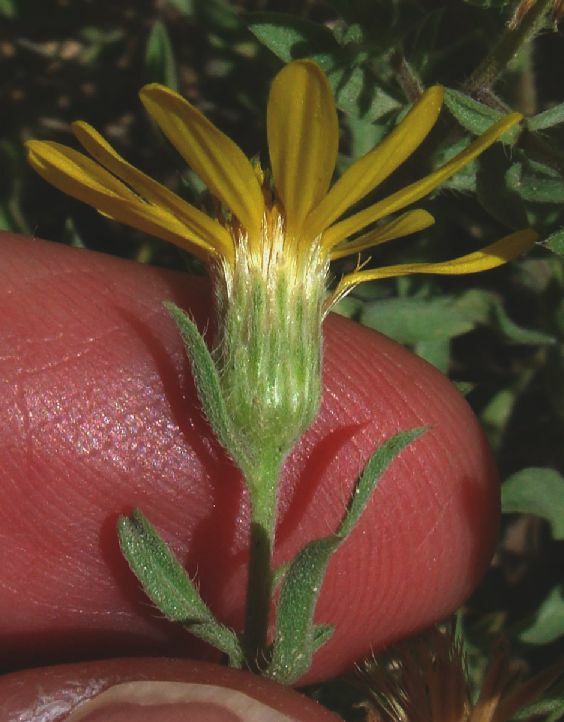 From a SEINet search on 3 September 2008, there are 36 vouchers of this species from the Coconino County portion of the Grand Canyon. Of those 36 vouchers, 26 are determined only to the species name; 6 are var. 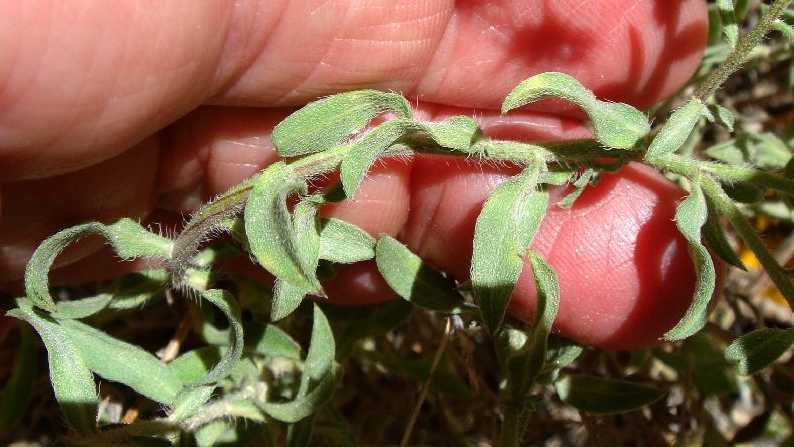 hispida; 2 are var. foliosa; 1 is var. minor; and 1 is var. scabra. The nearest are at: Grandview; and Mather Point. Note that there may be additional vouchers at other herbaria not available through SEINet. First occurrence on South Kaibab Trail: mile 0.28, elevation ~6925 feet (~2110 m). 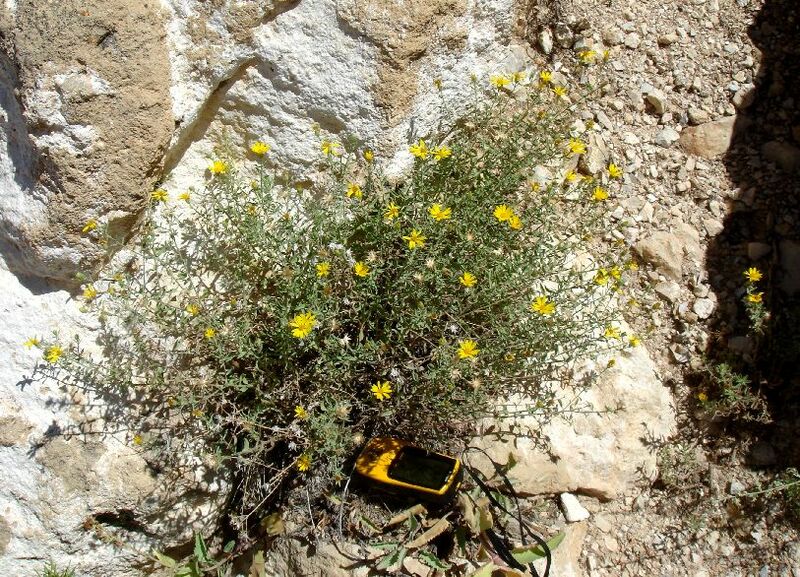 Number of plants along Trail: at least 40 plants were found in at least 9 different locations in August 2008.